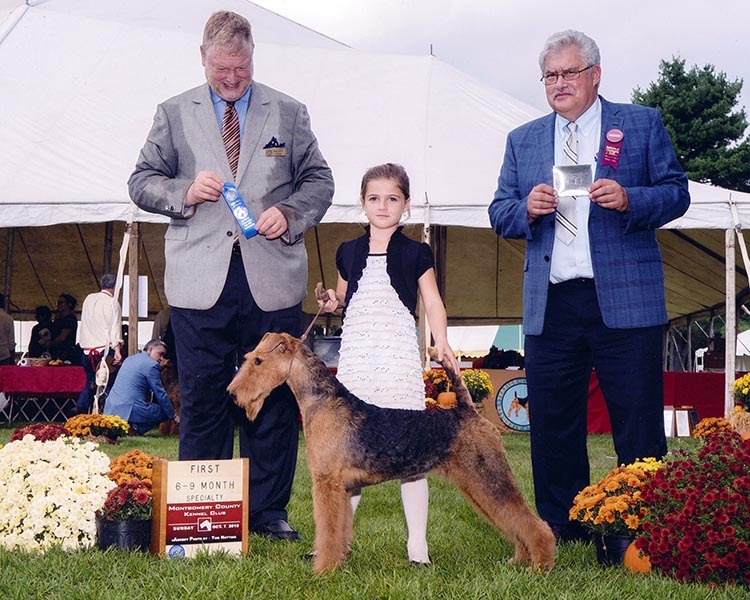 Having been in Airedales since 1985, for Valeria it been a life-long love affair with the Airedale breed. 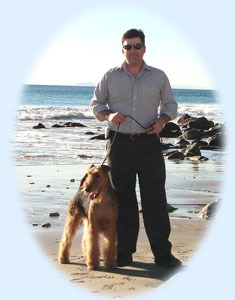 John "married into" Airedales. Soon after, the JOVAL Kennel ... (JOhn&VALeria)... was formed. It has been a partnership ever since. Being a veterinarian, Valeria pays special attention to the health & temperament of every dog in the breeding program and the way every puppy is raised & socialized. John, with his computer background, takes care of all of the social media - website, FaceBook, etc and also leverages his photographic talents to these and for those puppy-pictures that everyone loves. 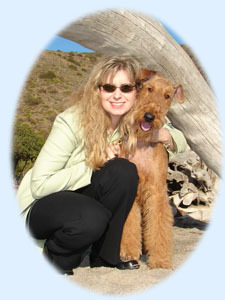 Valeria is also a licensed AKC judge, and occasionally will travel to judge both in the USA as well as internationally. A "Special-assistant" to JOVAL is our daughter Olivia - who enjoys playing with her furry brothers & sisters and personally socializing puppies from every litter. She even has found success in the show ring!